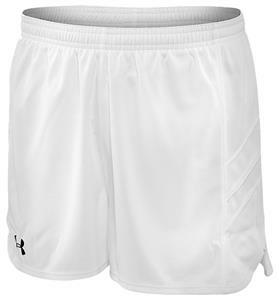 Under Armour Mens Breakaway Shorts. - Single ply body with white side inserts. - Covered elastic waistband with internal drawcord. - Side V-notch for comfort and mobility. Main body: 100% polyester textured mesh.